Can’t find information about your transfer? Shuttles are a shared transfer option where you share your transfer with other passengers going in the same direction of travel as you. The prices shown for shuttle transfers in the booking process are per person. You pay for a seat on a shuttle bus. Depending on number of transfers, the vehicle used may range in size from a minibus to a coach. Shuttle service operate a door to door transfer service if your final destination is reachable by our vehicle (usually all bigger hotels and resorts) are reachable , however on some occasions this may not be possible due to narrow roads or steep hills in Corfu. In this case drivers will drop and collect you from the nearest accessible point to your accommodation. Shared - shuttle transfers are not available to villas or private addresses. For more info about this please visit our FAQ page. Private transfers are available for any party size. You pay per vehicle not per person. Upon your arrival to Corfu airport in no time you will be transferred to your destination. You travel alone with this type of transfer. Corfu Airport Transfer uses minibuses for this type of transfer so you and your party will have enough room for any party size and no restrictions on baggage. 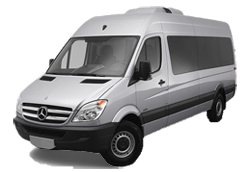 Private Transfer 1-4: Minibus or regular taxi (depending on the availability for your arrival date). If you would like to reserve a minibus only for this private transfer please book Private Transfer 1-6. At your request more than one regular taxi vehicles are also available for your party. We can also fit foldable mobility scooters for disabled passengers (Private Transfer 1-6 and 1-12 only). For more info about transfer types this please visit our FAQ page or contact us. During your stay in Corfu,Our Personal Chauffeur Service will take you anywhere, day or evening (excursions,sightseeing,shopping). Contact us for further details. Once you book your transfer you will receive instant transaction confirmation by e-mail. Within 24-48 hours you will receive your transfer voucher also. If you are making a last minute booking make sure you contact us to confirm your booking and to give you instructions if you do not have the time to print the voucher. Instructions how to find your transfer transport when you arrive will be printed on your transfer voucher as they vary by destination. Voucher will have all the info and your estimated departure pickup time. For all transfers it is important that you contact us at least 24 hours prior to departure to be given a more accurate pick-up time. 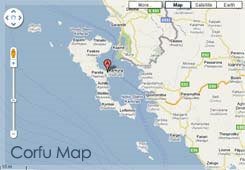 Corfu Airport Transfer guarantees the best and the lowest prices for our customers. Feel free to browse other providers and if you find a better valid online price we are gladly going to match it and apply additional discount. No credit card fees, no booking changes fees, no additional baggage fees and no child seats fees. Once you finish your online booking your quote is what you pay. If you are a large family or a group you can book a minibus transfer for your corfu accommodation. For a cheap comfortable transfer to your corfu accommodation choose airport shared buses or shuttles.